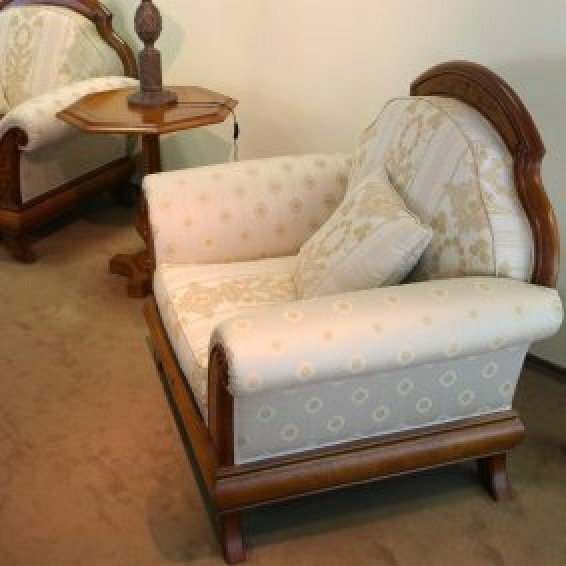 Upholstered furniture will pick up stains over time, especially if you have kids or pets. Cleaning it properly can keep it looking nice for many years. This is a guide about cleaning upholstered furniture. I had lots of little marks and stains on my soft furniture after my grandchildren stayed for 3 weeks. I was quite distressed, as I did not want to ruin the fabric during a cleaning bout. I came across an old electric toothbrush, and when I replaced the batteries, it worked great as a small stain remover when dipped into a stain removing liquid designed for clothes. I consider this little electric brush one of my most valuable tools now. I have arthritis and also weakened muscles. This is a miracle. Try it on clothes, shoes, actually anything including walls, even stovetops. What is methyl chloroform and can it be used for spots and stains? I'm wondering if anyone has any ideas on how to remove a light water mark on one of my couches covered in good quality upholstery? I would need to know what type of material. If it's leather use permanent marker in same color. I have a thick wool type fabric couch that has been in storage for 10 years. Not only does it have a strong moldy musky smell, it is also covered in rodent urine and feces. What would be the best way to clean it using the strongest cleaner that will not bleach the beige background with multi pastel fibers? If there are rodent stains on it, then chances are the rodents were in it, as well. I would consult a professional cleaner (asking them doesn't mean you need to use their services) if it is even possible to get the stains out, and clean it so that it is safe to use. Rodent droppings in quantity can carry some pretty scary diseases, including the hanta virus. Do some real investigating, not just asking for surface cleaning ideas on here, for your and your family's health's sake, please! I agree with Jilson. As I have had to learn over the years there comes a time when I have to throw my frugal old lady hat in the creek and get rid of something. I think for your safety's sake it's time to get rid of the couch. I am with Jilson and MartyD and, frankly, I wouldn't even risk trying to have it cleaned on the inside even by a professional. You can contract diseases from the urine and feces by breathing it in and/or even touching it. When you dispose of the sofa please be kind and make it clear that the sofa is no longer safe for human use. I have two old upholstered swivel chairs from an aunt that has passed on. They need cleaning. Any ideas that won't wreck my budget. They are a rust brown. What type of upholstery is on the chairs? If it's vinyl, you can use a good degreaser spray cleaner that lifts grime and grit with just a dampened cloth and spray. If it's fabric, need to know the kind it is. I use upholstery cleaner for cars. It does a great job on fabric recliners we have. AND it's easy to use. Try it! Hand held steam cleaner is what I have used on a chair that I found. Remember though you have to blot the spot after you run the steamer over it. I have a white three seater sofa made out of cloth. Over time it has dust deposits and looks discoloured. Should I call a drycleaner or clean at home? At home how can I clean? Your help is much appreciated. Here's a link for cleaning a sofa. It may help. I have recently got a lot of PVA glue on my dark yellow chenille sofa and it has dried now. I need help fast! My dog peed on a chair. We used Resolve to clean it with and it ended up smelling soured. Any sugestions on how to clean without calling in a professional? I need help. My husband and I bought a used double recliner couch and a queen size sleeper couch from a church, both for $60! But we need to clean them. I know you have to be sure to use the right techniques (the right cleaning chemicals and equipment) according to the type of material the couch is made of. Now, I know to check the tag, but there is no tag, anywhere. I don't want to mess up the great deal we just got. How do I figure this out? And what is the best way to clean these puppies out?